CCI is developing and delivering the CSSM exam to recognize the important role managers have in directing staff, programs and budgets in delivering safe patient care. The purpose of the CSSM exam is to provide recognition for the important and distinct role of surgical services managers. 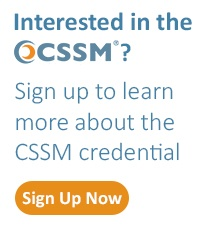 Why should I seek the CSSM credential? Upon successful completion of the exam, a candidate will be awarded the CSSM credential for a three year period. Your CSSM credential will expire on December 31st of the third year. Why a CSSM Credentialing Program? A credentialing program for nurses working in a managerial role in the perioperative department would establish a standard of excellence for these professionals. In addition, the proposed credential would address a current deficit regarding a sub specialty-specific credential for this population. The scope of practice of the surgical services nurse manager differs from the roles identified in the CNOR, CRNFA and CNS-CP job analyses. This credential program, supported by a rigorous eligibility and testing mechanisms, provides a benchmark to help ensure that managers are meeting this and other quality standards. Also, a credentialing program for surgical services managers aligns with the recommendation from the Institute of Medicine Report on the Future of Nursing that nurses should practice to the full extent of their education and training. Reflecting the fast pace of change in the surgical services arena, the CSSM credential will be valid for 3 years after which time a certificant must complete the CSSM recertification process to renew the credential.